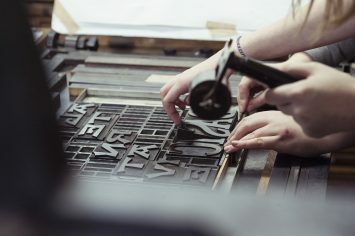 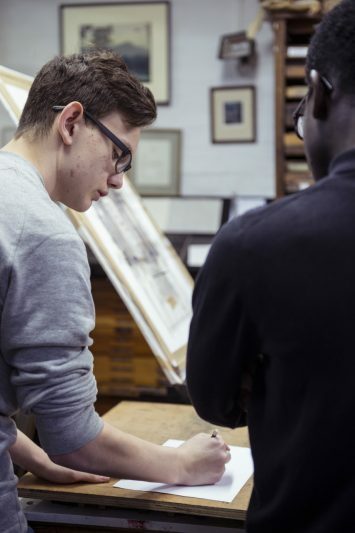 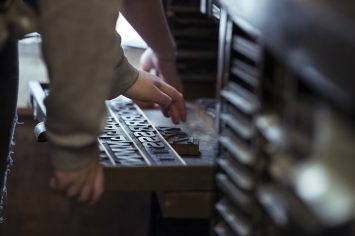 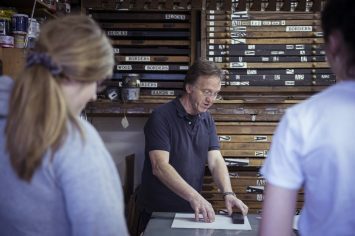 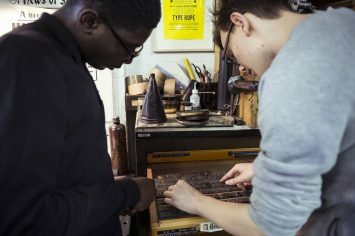 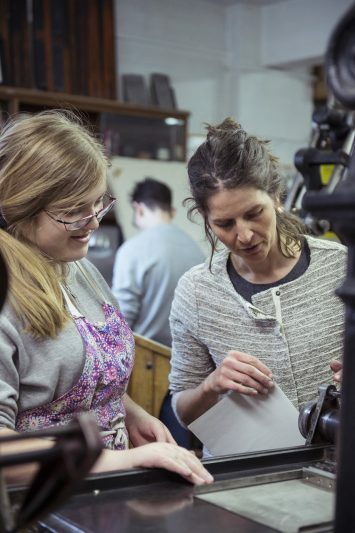 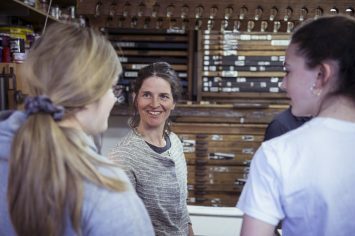 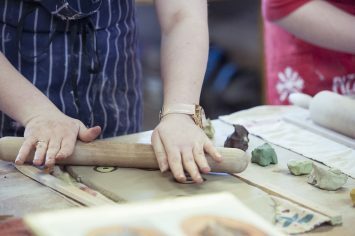 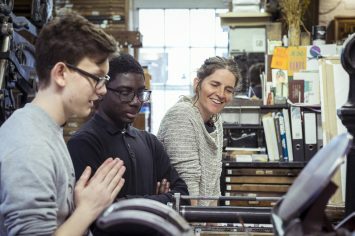 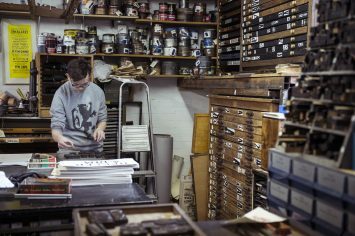 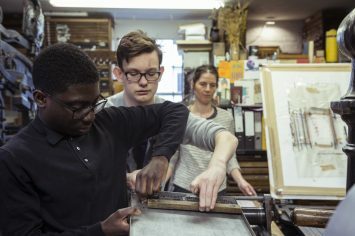 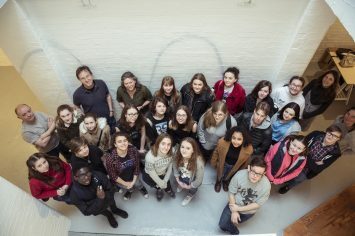 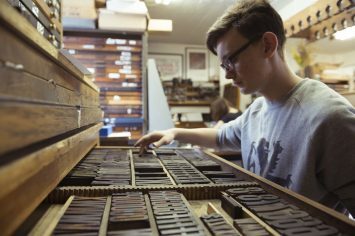 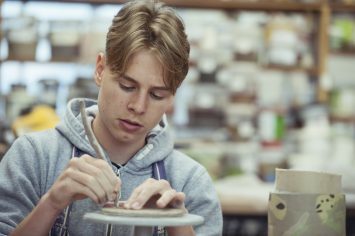 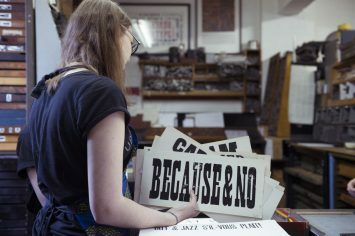 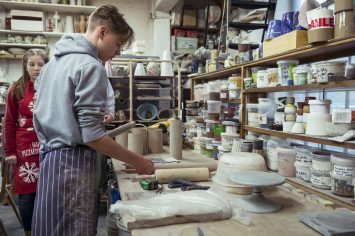 This year the Art&Design Clubs at Ravensbourne and Highbury College travelled to Standpoint Studios in East London, home to a group of artists and makers, where each Club member participated in either a ceramics or letterpress workshop. 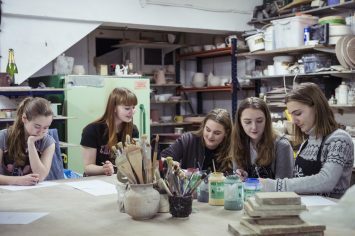 In the ceramics workshop with Nicola Tassie and Stuart Carey they created vessels of different shapes and sizes, decorating them using slips and coloured clays. 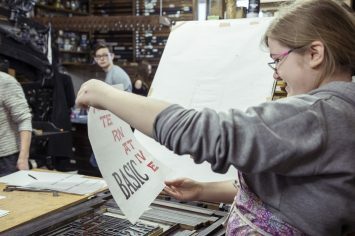 Meanwhile, those who chose letterpress with New North Press looked at giving text visual form, using opposite words and trying to nd fonts, colours and a composition to match. 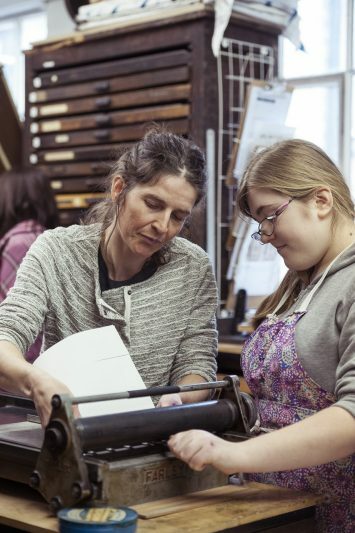 They also learned how to use a proofing press and had lots of fun rolling ink and then pulling prints using the beautiful old print presses at the studios. 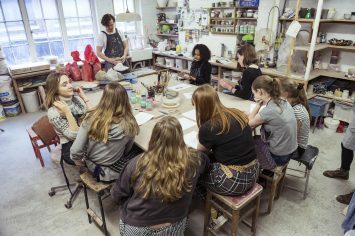 The young people really enjoyed the trip, and ended the day with a visit to Paupers Press studio, sneaking a peek at Grayson Perry’s new work in the etching studio.